Shell jewelry is the latest trend to take over Instagram - we bet you've spotted one of Tohum's pieces on your favorite influencer. 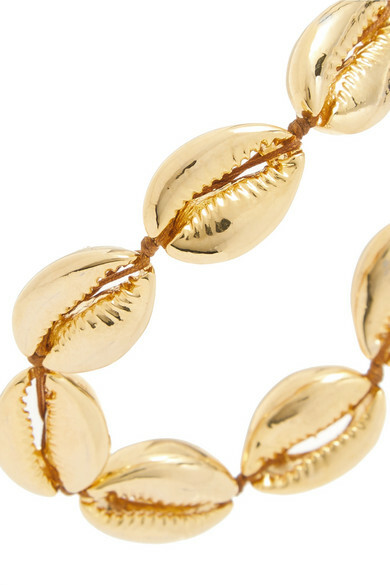 This 'Puka' bracelet is strung with a row of gold plated cowrie charms and has an adjustable cord fastening so you can personalize the fit. Wear it stacked with other styles from the collection. Shown here with: Ulla Johnson Pants, ATM Anthony Thomas Melillo Bodysuit, Tohum Bracelet, Tohum Ring, Tohum Bracelet.